Several years ago, the son of a northern Ontario chief, an Anglican, died in a Thunder Bay hospital. The chief said that the Church had failed him and his family because his son did not receive a visit by an Anglican priest. 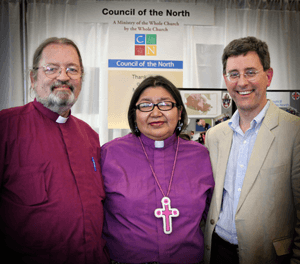 When Bishop Stephen Andrews (Algoma) became aware of this, he was deeply concerned about the need for better support for indigenous Anglicans in his diocese—especially those who travel from the far north of Ontario down to Thunder Bay for medical or educational services. In many cases, it is as if a diocesan boundary comes between them and the pastoral care they need.